What Did My Father Do in the O.S.S.? 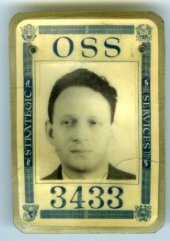 The Office of Strategic Services was an intelligence agency created during the Second World War, with a principle mission of coordinating espionage activities of the different American armed services. After the War it was transmogrified into the C.I.A. My father, Sidney Kaufman, about whom I write extensively in The Memory Of All That, served in the O.S.S. during the war, making training and propoganda films. But the details of his activities are few and I don't really know what he did. Though in recent times (in August, 2008), O.S.S. records became available through the National Archives, ten years ago, my request for my father's military records was met with a form letter stating that there was no record of Sidney Kaufman (with his birthdate and Social Security number) ever having served in any branch of the military. This is because O.S.S. files were in the C.I.A. archive and were entitely classified -- n personnel were identifiable, period. For many years, the only absolute proof I had for his service in the O.S.S. was this identification badge. I will never know the details of his wartime service. I was part of it, with the concluding performance being a salute to Kay Swift, at which I spoke, in effect narrating, with the late arranger Russell Warner, a concert performance of "Fine and Dandy" by Bill Bolcom, Joan Morris, and Max Morath. During those days in Washington, I was privileged to spend a lot of time with a fantastic range of Gershwin people, from Anne Brown, the original Bess of "Porgy and Bess," to English Strunsky, the delightful brother of Ira Gershwin's not-so-delightful wife Leonore. (They are both dead. There were a lot of elderly people who knew George at this event, and most of them are now gone.) English was fond of my grandmother, and he recognized her role in George Gershwin's life. Among our many chats, over a range of topics, was a particularly resonant story that he told me. It had the feeling of a story told many, many times. I didn't include it in The Memory Of All That, though I wish I had, so this is a true staircase thought. 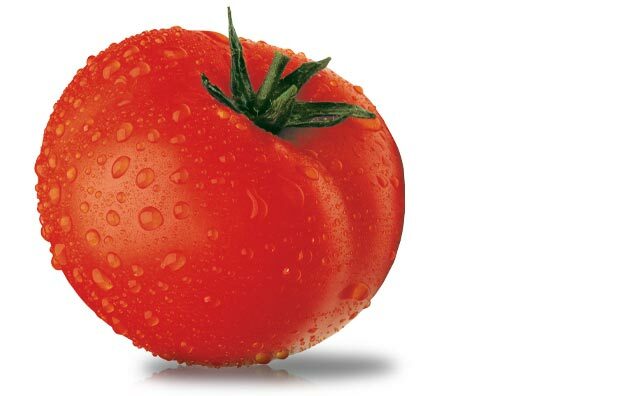 English Strunsky was an entrepreneurial soul with many interests, and one of them was a large tomato farm in New Jersey, what would be called a truck farm. (Do you see where this is going?) One day, Ira and Leonore went out to New Jersey with him to visit the farm. Observing English talking first to his workers in the field, and then later to some buyers, Lyricist Ira, ever alert to words and language and turns of phrase, asked him why it was, when English talked with his workers, he said "to-may-to," but when he spoke with certain buyers, he said "to-mah-to." Was he aware of this? 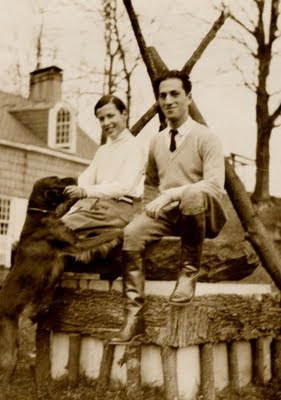 And English replied with a shrug, "Oh, to-may-to, to-mah-to..."
In The Memory Of All That I write about my grandmother's influence on George Gershwin as their friendship and then their romance deepened. She dressed him, she decorated his apartment, she taught him to ride (note the shiny new riding boots), and in countless ways she encouraged him to develop his own taste and style. They had so much fun! "Murphys and O'Gradys, gentlemen and ladies all/they have made your life a perfect Hades/paying you a wage that was too small./You who are the masses/working lads and lasses should/live like all the so-called upper classes/You have been too long misunderstood! Murphys and O'Gradys, you shall join the smartest set/You shall all be gentlemen and ladies/I will teach you perfect etiquette! Blums and Blaus and Blitzes, Steins and Lipkowitzes, you/Ought to be at home in all the Ritzes/I will show you what you ought to do/How to tell a waiter 'Bring an al-li-ga-tor pear,' how in fact you always tell a waiter/In a word, I'll teach you savoir-faire/I will teach you how you should greet a King or Queen/How to dress for wedding, divorce, and everything/Blums and Blaus and Blitzes, you shall join the smartest set/You shall all be Vans and Macs and Fitzes!/I will teach you perfect etiquette! Chorus: What's your proposition? We have got ambition/Show us the way/to be a la-dy./Up the social ladder/how I wish we had a/friend who would help us on our way./We would like to learn the proper way to eat and talk./We would like to learn the secrets of the knife and fork/How are we to know what clothes to wear?/Tell us how to part our hair!/We long to break away from all this life of toil/We'd like to have the leisure time to study Hoyle./We should like to join the smartest set/We aspire to acquire proper e-ti-quette!"